If your hair has been lackluster lately and has weak strands, one of the best natural oils to look into is grapeseed oil. Grapeseed is one of my favorite oils. I use it on my scalp and as a heat protectant before blow drying my hair for a protective style. Shine for days! The good news about grapeseed oil is it can be used on all hair types. Grapeseed oil is cold pressed from the seeds of grapes used to make wine. Grapes have a lot of antioxidants, which is why red wine in small amounts can be beneficial for health. After the wine is extracted from grapes, the oil is extracted from the leftover seeds making grapeseed oil a by-product of wine. Grapeseed oil is pale green and odorless. 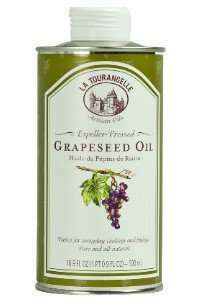 Grapeseed oil was popular in Europe for a long time before it made its way to other corners of the globe. 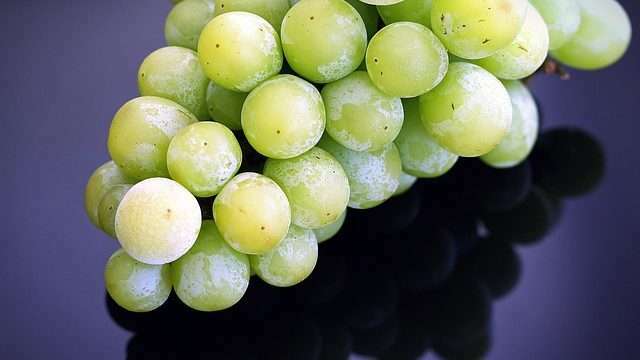 The nutrients in grapes are not transferred in the same amounts to grapeseed oil but there are still some properties valuable to hair care in the end result. Grapeseed oil contains vitamin E & F, minerals, proteins, lipids, and carbohydrates. Grapeseed oil also contains minor amounts of procyanidolic oligomers (PCO’s), a class of polyphenols with antioxidants that inhibit the growth of free radicals. It binds to and facilitates the work of proteins in hair and prevents protein loss from your hair. Is Grapeseed Oil Good for Your Hair? 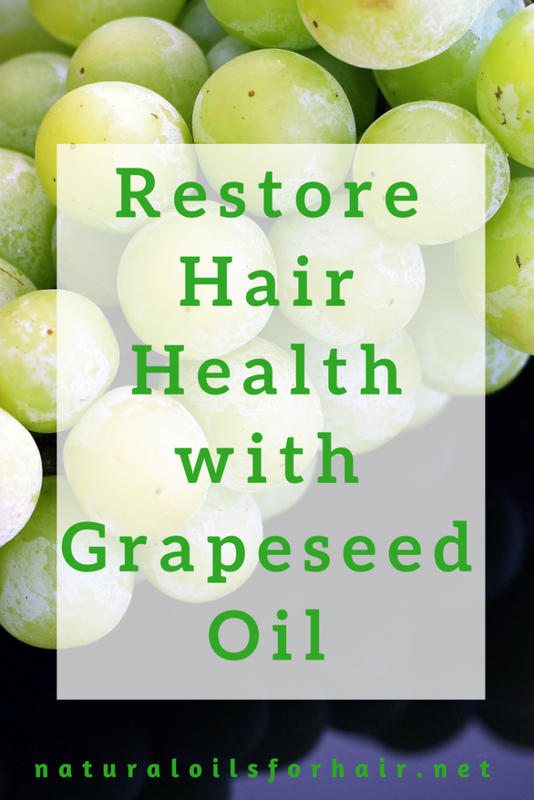 Even though the many benefits from the grapes are not transferred to grapeseed oil in equal amounts, grapeseed oil is still beneficial for the hair and is one of my favorite oils that is constantly in my rotation. I’m using the Now Foods grapeseed oil brand. Grapeseed oil has a moderately high smoke point. Due to this as well as its light texture, grapeseed oil makes for a great heat protectant before blow drying or flat ironing your hair (my recipe below). The oligomeric procyanidin contained in grapeseed oil binds to and facilitates the work of proteins in hair. It also prevents protein loss from your hair. Read How Grapeseed Oil Helps Protein Treatments Work Better. Grapeseed oil has a light texture, lighter than most oils, which allows it to be absorbed into the hair cuticle without weighing down your hair, an excellent choice if you have fine hair. It is part of the recipe used for my hair sealing oil in Benefits of Sweet Almond Oil for Hair. Used as a hot oil treatment, grapeseed oil can make hair shiny, lead to smoother cuticles and reduce brittleness in hair. 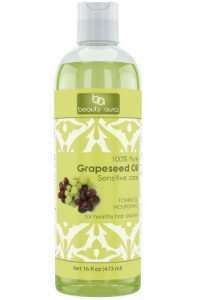 Grapeseed oil can help reduce dandruff, itchiness and flaky scalp. The effects are activated when used as a hot oil treatment and mixed with essentials oils like lavender essential oil and ylang-ylang essential oils (recipe below). Heat over a bowl of boiling water. Apply to dry hair and leave in for 30 minutes. To further enhance its effectiveness, you can also seat under a hair dryer for 3o minutes. Afterward, shampoo with warm water and deep condition. Alternatively, you can try a reverse deep conditioning method to above. Shampoo and condition your hair, then apply above mixture afterward. Wrap a hot towel around your head or sit under a hair steamer for 30 – 45 minutes. Rinse out with warm water and then style as usual. 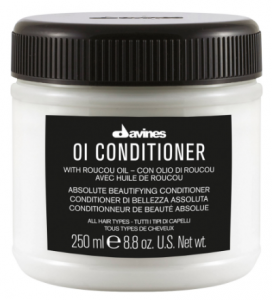 You can also mix in an excellent deep conditioner such as Davines OI Award Winning Conditioner or something else you like and use together. Combine the grapeseed oil with your choice of essential oil. Heat over a pot of boiling water. Massage into your scalp every evening using the method from the 8 Steps to Effectively Massage Scalp with Oil. Pour equal amounts of grapeseed oil and coconut oil into the squeeze cap bottle. Add the vitamin E oil. Close and shake the bottle. Though it works well as a heat protectant and promoting shiny hair, this doesn’t mean you won’t experience heat damage if you use heat devices constantly. If you’re interested in learning more about natural oils and how to use them for specific purposes to achieve optimal length and health, have a look at How to Grow Your Hair Healthy & Long with Natural Oils, a comprehensive guide about natural oils. Available in Kindle & paperback format. Subscribers get up to 30% off.